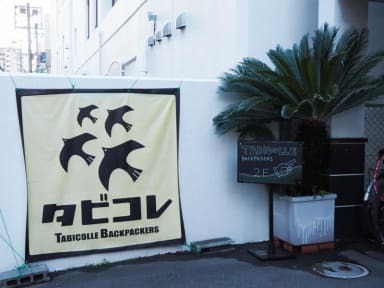 Welcome to Tabicolle Backpackers Fukuoka! Established in 2010 Tabicolle Backpackers is a hostel made for travelers by travelers, and operated by friendly, helpful, English-speaking staff. We aim to provide everything to make Tabicolle your home away from home. We'll do whatever we can to make your stay comfortable, enjoyable and memorable. Please refer to the maps we have posted under our pictures, or refer to our website for directions. There is a convenience store, supermarket, and a public bath all within 3 mins by foot. Enjoy your stay in Fukuoka! we prepare for some slices of bread for you for free. We consider you as NO SHOW if you do not come by 9pm. NO SHOW shall be charged 100% of the full amount of accommodation fee. We charge 50% of the full amount of accommodation fee if you inform us the cancellation two days prior to the accommodation day. The owner is really helpful and nice! The hostel itself is clean, has breakfast in the morning and has all the necessary amenities (however, you should bring your own towel). It is pretty close to Hakata station. The station has many places to eat, a metro and the bullet train. A little way from the station and not staffed all the time but very helpful and nice place. Location is a bit tricky to find, but convenient to Hakata Station. Common areas close at 11 pm. Easy to find from Hakata station, but not a lot local so necessary to travel. The staff were very friendly and certainly made an effort to be friendly with anyone, with English being the most common language spoken throughout my stay. Facilities weren't too much different to some of the more well known hostels, which was an added bonus. WiFi was more than usable as well, so bonus points there. Overall, enjoyed my stay though not much time was spent in the hostel itself. This was a nice hostel and the man who ran it was very friendly and accommodating. 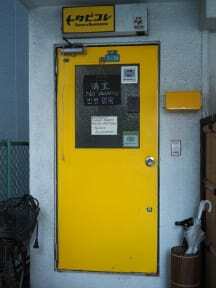 The hostel is only about a 7 minute walk from Hakata station. The kitchen facilities were very good and the hostel was very clean. The only down sides were that the bunk beds made a lot of noise and there wasn't a lot of space in the room to put anything. A recommendation would be to install new bunk beds that are stronger and have 2 draws at the bottom for guest to put their luggage. Otherwise, nice hostel. We stayed for three nights in the mixed dorm. Location is good, 10 minutes walk from Hakata station. The hostel is nice and clean, there is a nice kitchen and the free breakfast (bread) was a nice bonus. There isn't much of an atmosphere but the people were nice. Only real downside is that there is only one shower so we had to wait in line a few times. This hostel is kinda good. Not so far from Hakata station (15mn) and the staff is really nice and helpful. They have free wi-fi and lockers don't worry for that. Just the doors are kinda noisy so it's difficult to don't wake up everyone when you came back late or go to the bathroom. Else it's quite good for two or three days. I think my biggest issue with the hostel were the English Directions. They were horrible. If I didn't have my smartphone I would not have been able to locate the hostel. The directions seemed to be written by a non-English speaker. Leaving from Hakata station you literally have to just turn right on the FIRST street, go down a couple of blocks make a left, past about two Family Marts and then make a right and you are there. The last Family Mart is across from a massage facility.